Kanyon Aspen Waterproof Country Boots. 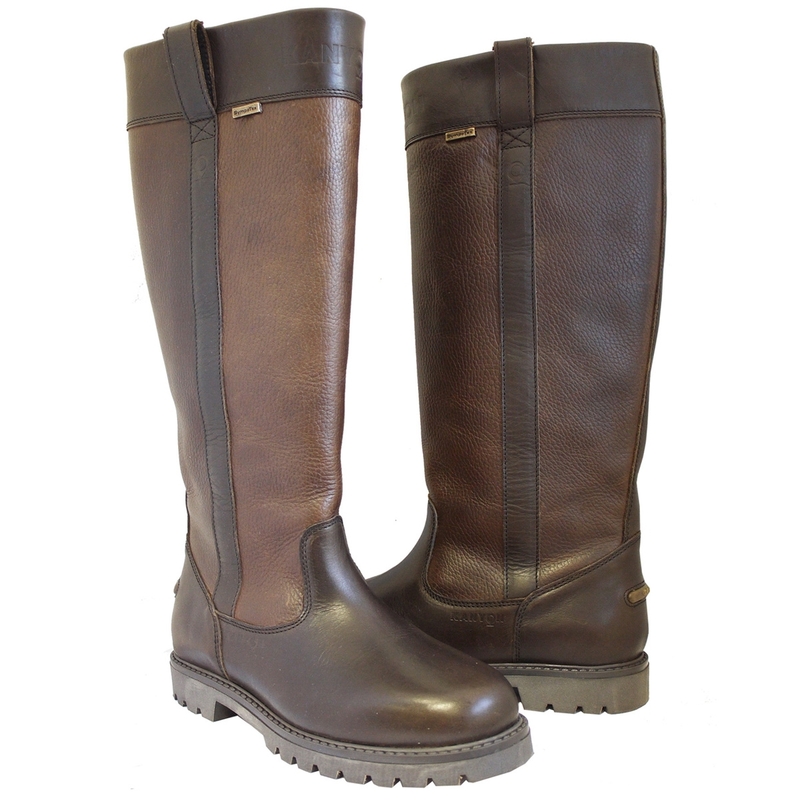 Simple Elegance has been encapsulated in the Aspen long country boot from our Quantum Collection. Handmade in Europe from the finest grade full grain water resistant leather and featuring a full length SympaTex® lining which offers truly outstanding waterproofness and breathability, you know that your feet will stay dry and fresh all day long. As you would expect from our Quantum range, all features of the Aspen have been enhanced to produce a truly outstanding boot that provides the most incredible comfort, durability and style that won’t let you down in any environment. The K-Boost Footbed+ is a removable footbed that is made using a high performance rebound polymer, that works in symmetry with the whole shoe to give you outstanding comfort. It has also been designed to allow a degree of heat and sweat to desorb through the footbed keeping the foot dry and cool for longer. The K-E.F.F. (Ergonomic Foot Fall) System supports each step from the first contact of the heel strike through to push-off. The Aspen utilises Kanyon’s Guerrilla Outsole which is tough and durable and completely at home in the harshest of conditions. Lovely boots....good grippy soles ! Love these boots very comfortable and looks wonderful. Cant wait to start wearing them. Brilliant company to deal with from ordering to delivery.